The new Mercedes-Benz GLE packs new tech in a sharper suit. Back in 1997, Mercedes-Benz became one of the first car manufacturers in the world to release a midsize luxury SUV called the M-Class. After numerous teasers, the all-new Mercedes-Benz GLE midsize luxury SUV has been revealed ahead of its Paris Auto Show debut in October. Now in its fourth generation, and bearing the GLE name since 2015, the all-new Mercedes-Benz GLE continues the success story of the brand’s pioneering midsize luxury SUV. Completely redesigned from the ground-up, the all-new GLE’s design is “based on the harmonious interaction between emotion and intelligence.” Up front, this theme is highlighted by a large twin-slatted grille featuring the three-pointed star in the middle flanked by intelligent LED headlights, as well as a lower faux grille treatment to give the car a more dynamic fascia. 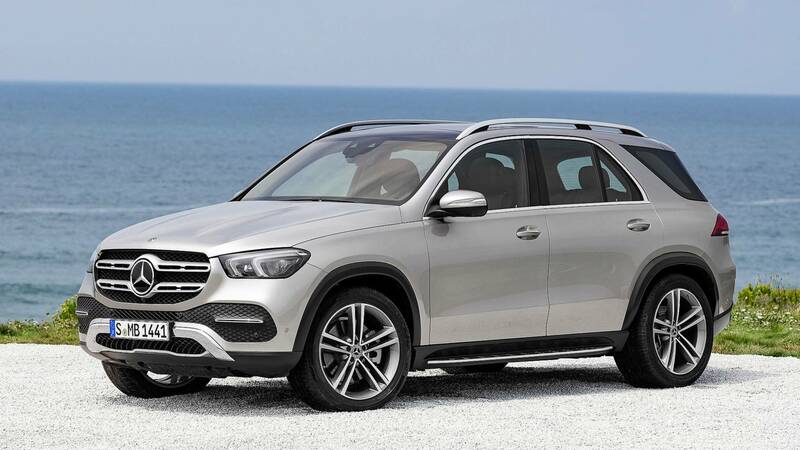 The rest of the body, meanwhile, is “characterized by timeless beauty, a combination of high-grade technology and craftsmanship and reduction to what is really important.” In simplistic terms, this means that the all-new GLE features a cleaner sheetmetal, thanks to the reduction of creases and lines going around the vehicle. At the back, the LED tail lights have been made slimmer in order to give the GLE a more dynamic look at night. Mercedes-Benz has went through great lengths to revolutionize the interior of the all-new GLE. Mercedes says that the interior “derives its fascination from the contrast between the luxurious, elegant ambience of a Mercedes-Benz luxury saloon and the robust, progressive features of an SUV.” Dominating the interior layout is a pair of high-resolution 12.3-inch LCD displays, which are operated through the MBUX touchpad-operated infotainment system. The car’s dimensions have also been revised in order to provide an increased amount of interior space. The wheelbase has been extended by 80 mm, allowing for an additional 69 mm of legroom in the second row and an additional 33 mm of headroom. Because of the revised dimensions, the Mercedes-Benz GLE features an optional third row for the first time. At launch, only one engine will be offered. The GLE 450 4MATIC features 3.0-liter inline-6 petrol engine with 48-volt technology, delivering 367 hp and 500 Nm of torque. The EQ Boost function adds an extra 22 hp and 250 Nm for short bursts. Power is sent through all four wheels via a 9G-TRONIC 9-speed automatic transmission. A transfer case with an electronically controlled multi-disc clutch is integrated into the transmission, allowing for variable torque transfer between axles. Other engines, including diesels and a plug-in hybrid will follow. Like many new cars nowadays, the Mercedes-Benz GLE will feature numerous semi-autonomous driver assist technologies, ranging from Active Distance Assist Distronic, Active Stop-and-Go Assist, Active Steering Assist, Active Distance Assist, Active Brake Assist, and Active Blind Sport Assist with exit warning, among others. The new semi-autonomous systems can even recognize oncoming traffic tailbacks. For instance, when the car is driving on a highway with Adaptive Cruise Control turned on, the system will slightly slow down the car if it senses in advance that a traffic tailback is ahead. This gives the system and the driver ample time to react in case a tailback suddenly appears. Lastly, the all-new GLE features a new E-Active Body Control. A 48-volt system is utilized alongside a newly-developed air suspension, letting the computers adjust spring and damping forces at each individual wheel to reduce rolling, pitching, and improve ride comfort. The all-new Mercedes-Benz GLE will go on sale in the US and Europe in early 2019, and in spring 2019 in China. The GLE will be manufactured in Alabama.